For the ninth Glasgow Film festival the line up was incredible, with an amazing 368 screenings, panel discussions, live performances and special events such as meet and greets with famous actors and actresses. This fantastic program has certainly worked in favor for the festival, as it seen a fantastic 12% rise in admissions, hitting an amazing 39,106 total. Recently just before the festival came to a conclusion , while I was stuck at home babysitting, my best friend (Cara Stewart ) was lucky enough to get tickets to the screening of Eli Roth’s film ‘Aftershock‘with special attendees director Nicolás López, actress Lorenza Izzo and Eli Roth himself – and lucky enough to be grilled by me. Before the screening Eli Roth appeared and introduced a few films that showed before his own and promised to return after the end of the movies. As he left he asked the audience if they would return for the screening of his film (as there was a substantial time between the films – the first at 3pm ‘Aftershock’ at 9pm) and was met with cheers and applause. A sure sign of his growing fan base. It’s official, 2013 is going to be a great year for the sequels ( and trilogies, and prequels – in fact any and all follow up movies seem to be popping up this year…). As I sat and went through the movies I was most looking forward to, I decided that maybe this would be something good to share here. So sit back, relax and take in the brilliance of the following trailers. Sometimes its hard to believe just how connected Glasgow is with Hollywood. But it’s true, our bonny city in the heart of Scotland has plenty of famous stories to tell, from actors born and bred on Glaswegian soil to our familiar streets being used in movies. And it’s easy to see why Glasgow is so popular, although us locals can forget just how lucky we are. After my last blog post I realized just how little I knew about Glasgow and its links to movies, which is why for the next couple of posts I’ll be researching and talking about just that. I started watching Prometheus late one night, purely because I was bored and I wanted something to kill an hour. I ended up so engrossed by this sci-fi film that two hours later, as it finished, I was tempted to watch it again. 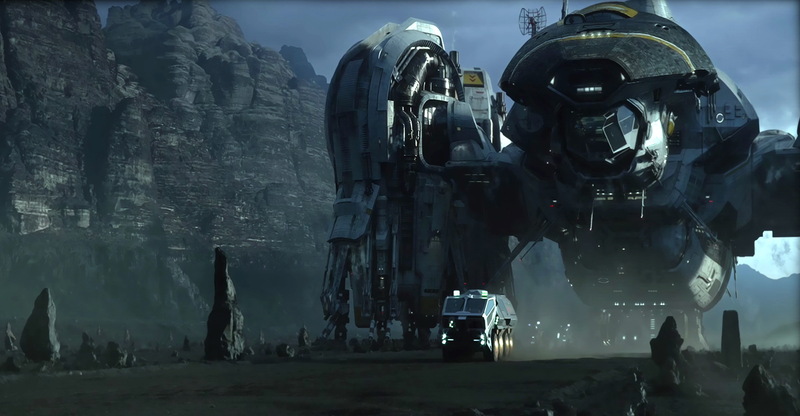 Set in 2089 the film follows the crew of the spaceship ‘Prometheus’ on their mission ‘seeking the origins of humanity’. After two years of hyper sleep the crew awakens to find they have arrived at a distant planet, thought to be the home of our ‘Engineers’. However it seems that our potential gods are less interested in meeting the Prometheus crew and more interested in annihilating humanity altogether. I knew from the very moment the opening sequence began that ‘Wreck-It Ralph’ was a movie after my own heart. This animated golden gem has had great success in the box office, after its eagerly awaited release on the 15th of February. Wreck-It Ralph beat ‘A Good Day To Die Hard’ in weekend charts and has grossed somewhere in the region of £282,340,991 so far. The story centers around Ralph, the villain in the Fix-It Felix Jr. arcade game, and his quest to become a hero. In his adventure he travels between the other games, looking for his opportunity to finally be the good guy in this arcade based universe. However it’s not as easy as poor Ralph thinks and soon not only Ralph, but the entire arcade is in a whole heap of trouble.